SSA is considered ambiguous because there is more than one way the triangle could be looked at. 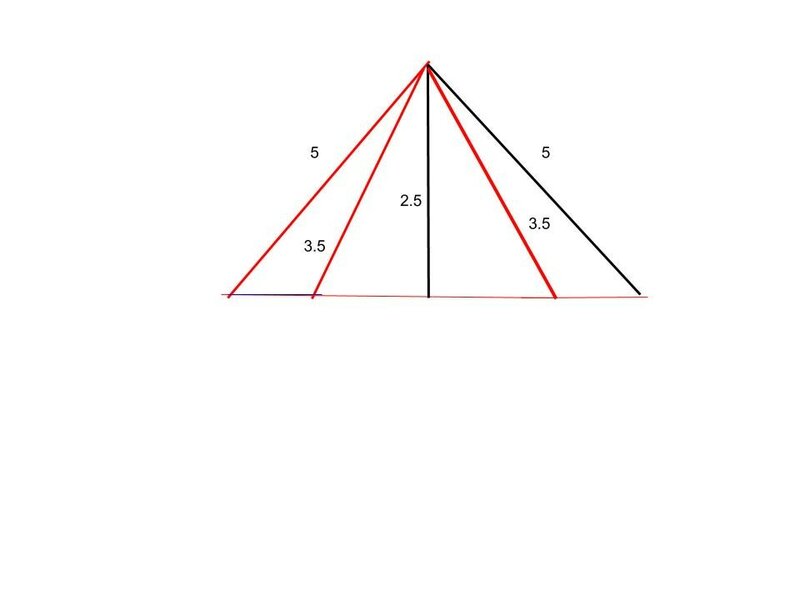 There is more then one way to look at the triangle because any number bigger than the height works two times in the triangle. We cant apply the law of sin to the information because the lengths that form two triangles form to different angles giving you different side lengths for the other side. Since it works twice it gives you two different triangles to solve that have different angles and a different side length. For my trig verification project I started using functions that i knew what change into something that would cancel somethings off. Which is why I chose to use Csc Tan and Sec Cot. Csc tan x cancels out to be 1 over cosine which is SecX and Sec CotX which cancels out to be 1 over sin which is Csc. For the numerators I made sure that one was equal to one because one is easy to work work and that the other one converted into just one function. Once I had the fractions simplified I created a common denominator by multiplying by Sec and then added the fractions to equal the right side. During this project I think i gained a better understanding of when I can cancel things out, I also think the extra practice of converting the trig functions and refreshing my memory on what things are equal to each other helped me become more confident with verification. In this activity I learned about about how sin and cosin relate to the special triangles and I learned the importance of reference angles. In this activity the main thing I learned was the point of the unit circle. Since I have missed so many days of school the unit circle was not something I spent a lot of time focusing on but now I understand that the unit circle represents the x axis in the graph. I feel like I connected a lot of dots in during this activity. I think I connected the dots between radians and degrees without using the formula to convert them back and forth due to the usage of the unit circle in making the angel. I also think I connected the dots between the x and y axis and sin and cosin. The activity helped me understand the unit circle because before I didn't really pay much attention to it because it didn't seem very relevant to me. Finding the reference angle by using the unit circle helped me understand how the unit circle relates to the graph. I did not like that Mr. Cresswell did not affirm anything because I was scared we were doing it completely wrong. ​ A radian is an angle measure based on the radius of a circle. Radians are written on terms of pi. For example on the unit circle pi is equal to half of the circle also called 180 degrees. 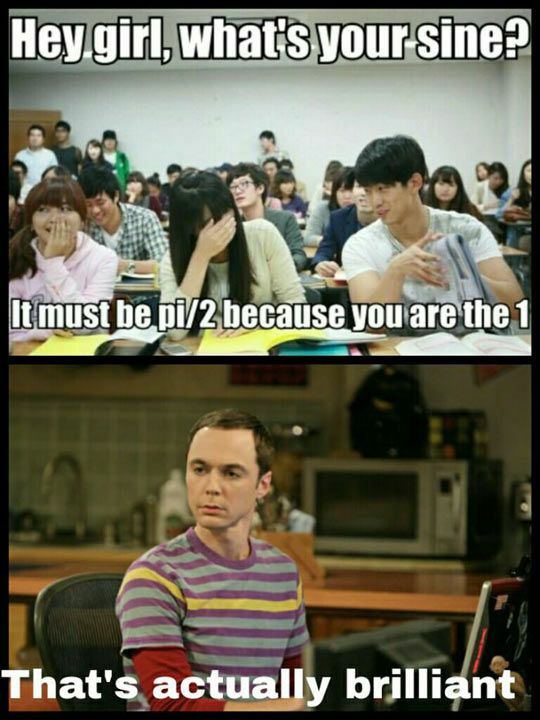 A whole circle is 2pi radians. Radians relate to the circumfrene cause the arc length which is part of the circumfrence is measured in radians. Radians relate to degrees because they are both an angle measurement and if you know the angle measure in degrees you can find the radian measure and vice versa. For example 2 pi is 360 degrees. if you’re not referring to a unit circle and want to covert radians into degrees you multiply 2pi times 180/pi and the pi’s would cancel out leaving you with 360 degrees. 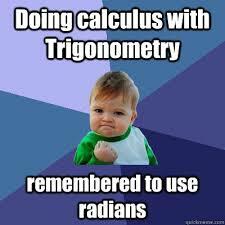 I prefer degrees because when finding measures on a circle to the nearest reference angle, if the original angle is given in radians I have to convert it to degrees and then do the subtraction . However when working with degrees I don’t have to convert it. Although I prefer degrees I think radians are more mathematically pure because radians are exact and degrees sometimes have to be rounded. A subsidized student loan is when the government pays the interest while the student is in college or the loan is postponed. Subsidized loans are only available for undergraduates and qualification is based on financial need. 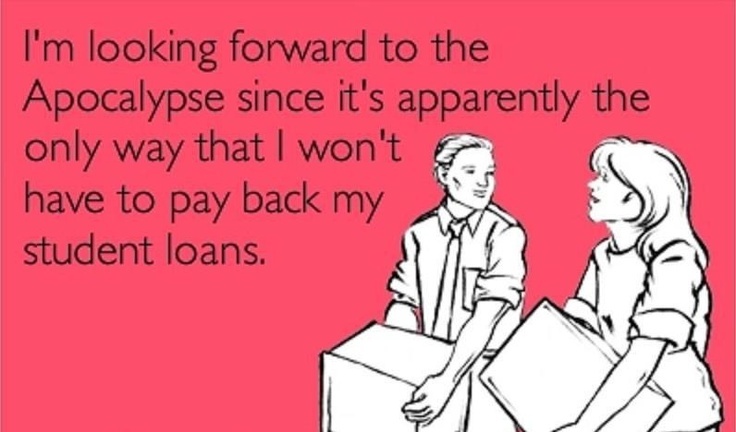 Loans that are not subsidized start r=racking up interest as soon as the loan is taken out. Credit Union loans help you pay for your college expenses not covered by your financial aid package. Credit union loans do not have a charged fee for taking out a loan and allow for flexible payment fees. Bank loans also known as a federal Perkins loan. A bank loan is a loan that is paid for by government funds and they are very low on interest. A bank loan can help you pay for undergraduate and graduate school. you are required to pay the loan back to the school. If you take out a loan of 5000$ per year for four years you would have to pay 152..67 a month for 20 years. 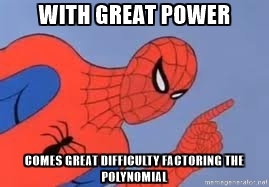 The factors connect to factors because when you set the factor equal to 0 you get the zeros of the polynomial. Division helps us factor polynomials because it helps us break down the polynomials with high degrees into polynomials that are reasonably to our brain and can be put into the quadratic formula to get the exact answer . The degree of the polynomial helps us predict the number of factors but it doesn't always tell us the number of factors because sometimes factors repeat. 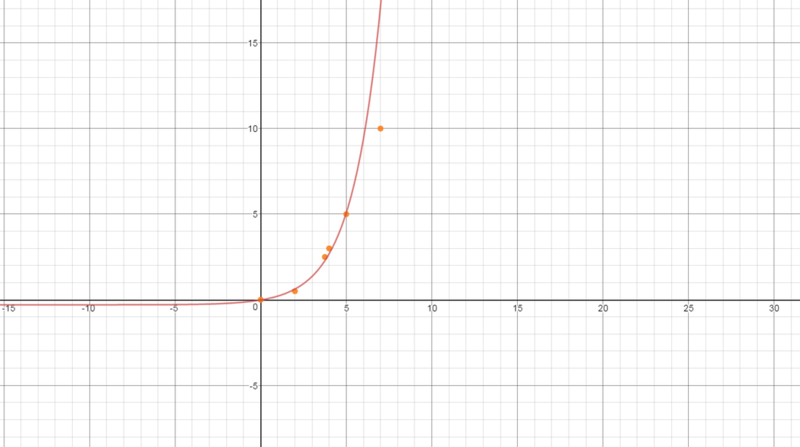 The function is an exponential growth function. The domain is x is greater then or equal to 0. the range is greater then or equal to 0. The document changes my prediction of domain and range because my range isn't going to be continuous it will go down at 10 billion. There is a problem with extended continuous functions because not everything will continue the way you expect it to. This tells us that when making predictions by trends you have to be very careful because trends can change. 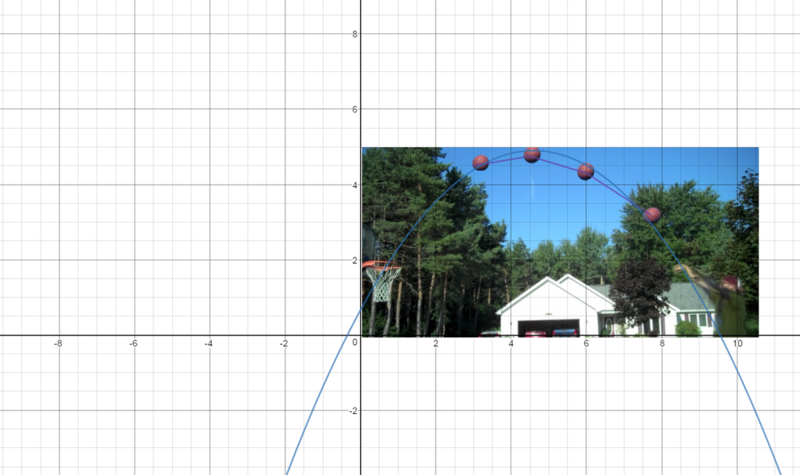 I think the basketball is going to go into the hoop because if you follow the path of the basketball and draw the parabola the parabola shows that the basketball is lined up to go into the hoop. Every morning, during summer camp, the youngest Boy Scout has to hoist a flag to the top of a flag pole. Flag shows that he is raising the flag at a consistent pace over time. Flag B shows that the flag at first the flag is being raised really quickly for a short period of time and then it slowed down. A flag C show that the flag is raised quickly and then slowly and then quickly and then slowly until it reaches the maximum height. Flag D shows that at first the flag is raised slowly but over time the pace speeds up . Flag E shows that the flag was raised slowly and then sped up and slowed down at the end. Flag F shows that the flag went up very fast. 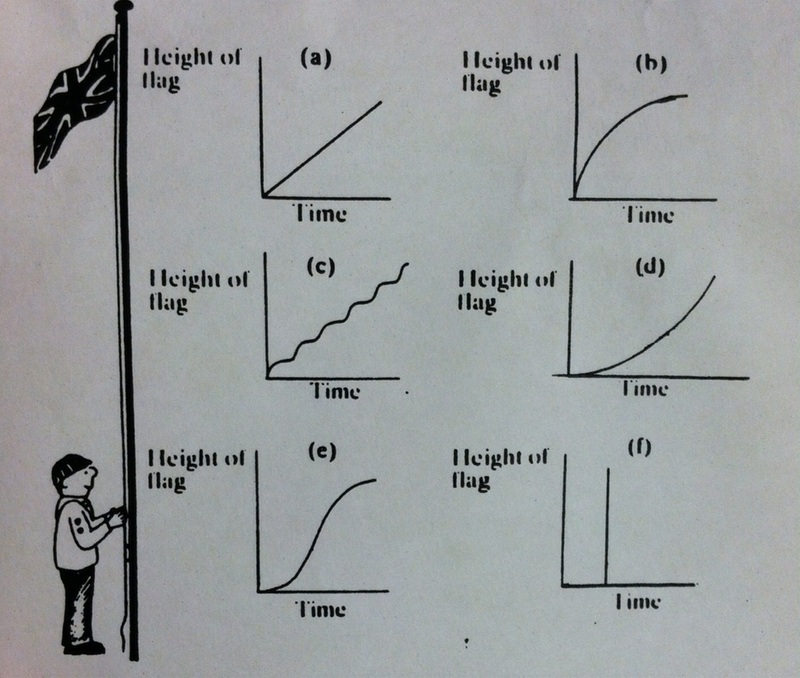 Graph A is the most realistic because it shows the flag being hoisted up at a constant pace because it’s linear. I think graph F is the most unrealistic graph because the graph shows that the flag went u instantly which is impossible. Graph C is not the most realistic either because it shows the flags height going up and down. I'm Lenae and i love dancing and golf.